Love Card. Valentine Card. Love Quote. Vintage Photo. Vintage Postcard. 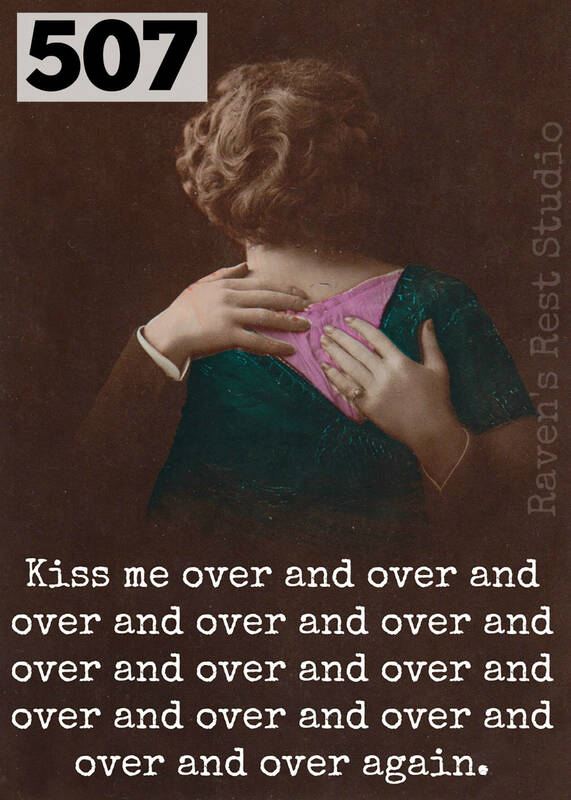 Kiss Me Over And Over And Over... Card #507. 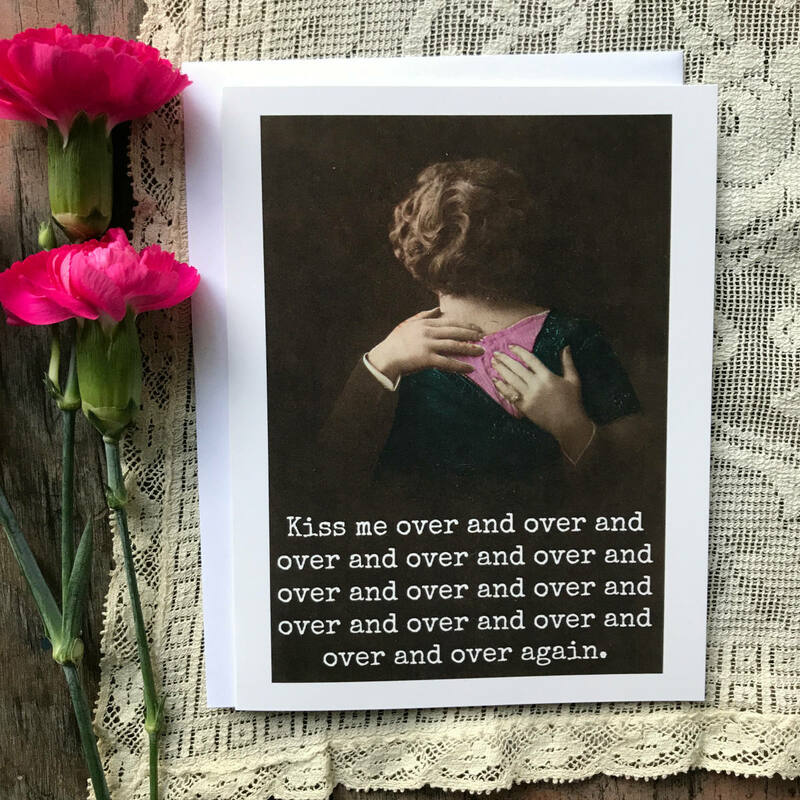 This card features a vintage couple in love from one of my vintage postcards and reads: "Kiss me over and over and over and over and over and over and over and over and over and over and over and over and over again. ".